In the first of two X-Men: Regenesis story arcs that will feature the character, Havok confronts his brother Cyclops regarding his split with Wolverine in the pages of X-Men: Schism in today’s X-Men: Legacy #259. Attempting to get the two to find some common ground, Havok sees a lot more panel time in this issue and that will hopefully continue in Half a Step part two. A scene in the issue recalls all of the recent traumatic events the X-Men have gone through leading up to Schism, and it’s difficult not to focus on the fact that Havok has been off-planet for all of them. House of M, Messiah Complex, Messiah War, Utopia, Necrosha, Second Coming, and Schism all passed during his absence although he did have a front row seat for the cosmic War of Kings. 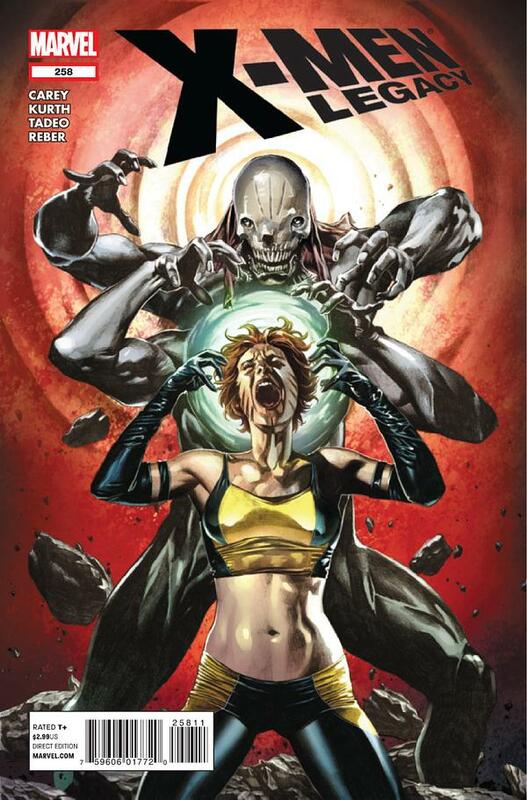 It’s reminiscent of the character’s return following the Mutant X series that saw Havok trapped in a parallel dimension as the world has changed dramatically around him once again. 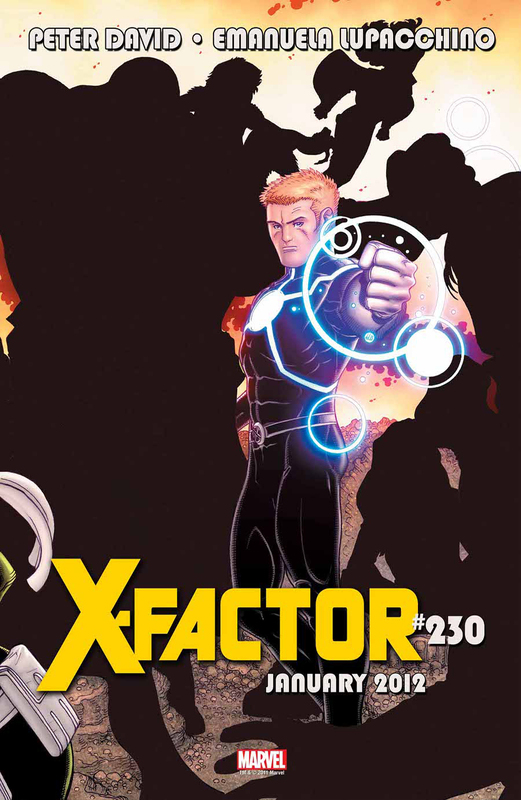 Havok will also appear in January’s X-Factor #230 as that title reaches the X-Men: Regenesis launch point and he and Polaris join the team. Havok once again did not have a big part to play in the final chapter of Mike Carey’s Five Miles South of the Universe featured in X-Men: Legacy #258. It’s a bit surprising given the the team was fighting for survival on a space station in danger of falling into a sun, and in two of Havok’s last major appearances (X-Men: Emperor Vulcan and X-Men: Kingbreaker) he absorbed a great deal of energy from nearby stars. Admittedly that would not have helped them to escape the certain death that awaited them. It’s unclear whether Havok will appear next in S-Men: Legacy #259 which begins the X-Men: Regenesis branding for that title or in Peter David’s X-Factor in January. David says he has plans for “Polavok” (his preferred portmanteau for Havok and long-time love interest Polaris) as he talks about the title in yesterday’s X-Posiiton interview on ComicBookResources.com. It was good to see Havok get a strong cover appearance by Mico Suayan (along with members of the Grad Nan Holt and not the “Brad Nine Holtz” as my phone has suggested) on this week’s X-Men: Legacy #257, but it’s a bit misleading given his panel time inside. Havok has a relatively minor role alongside his teammates although he does have an opportunity to use his powers to help the cause. There’s a lot going on in Five Miles South of the Universe, and it’s good to see that Mike Carey isn’t ignoring anyone as they fight to avoid falling into a sun somewhere in deep space. I’m just happy the latest mind control angle appears to be over. 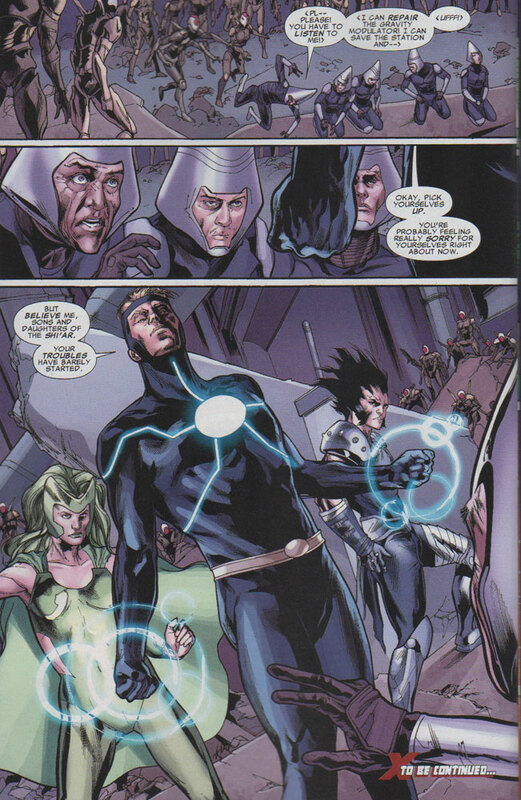 Havok gets a little more panel time than in previous issues with today’s X-Men: Legacy #256. His return again involves mind control as the situation for him and his friends gets even more dire at the edge of the universe. Unfortunately, his role is still rather limited again here and somewhat disappointing. It seems that may change in the next chapter of Five Miles South of the Universe as the preview of the Mico Suayan cover image at the end of this issue prominently features Havok along with the insectoid Grad Nan Holt. Mike Carey’s “Five Miles South of the Universe” continues to explore what Havok, Polaris and Marvel Girl have been up to in deep space since War of Kings with today’s X-Men: Legacy #255. At the close of the previous issue, Havok and his team had seemingly aligned themselves with the insectoid Grad Nan Holt against the a group Shi’Ar soldiers on a space station about to fall into a sun. 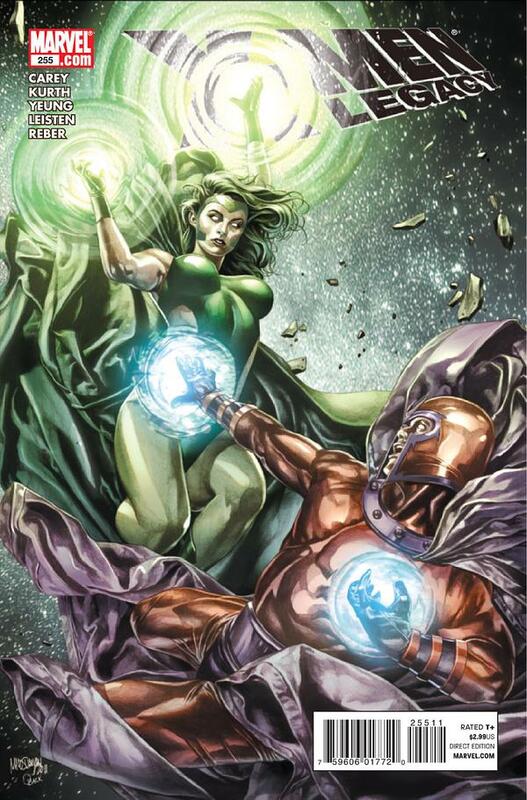 Of course, the X-Men team that has come to rescue their friends begins the issue sided with the opposition and the cover suggests a pitched battle between Magneto and his daughter (who he actually specifically described as such last issue), Polaris. Hot on the heels of Havok’s return to the pages of X-Men: Legacy, today sees his return to screens across America as X-Men: First Class is released on DVD and Blu-ray. In a summer full of super hero movies, First Class stood out as one of the best of the pack and marked an incredible return for Fox’s X-Men franchise. In coordination with the release, our parent site will be featuring an article comparing and contrasting Havok on the page and on the big screen. But is he friend or foe? The most disheartening aspect of these absences is the fact his returns all too often find him acting as a villain. After leaving the team Giant Size X-Men #1, passing through the Siege Perilous in Uncanny X-Men #251, and appearing to die in X-Factor #118, Havok returned each time in dramatic fashion ready and willing to fight his former friends. Mind control was often the reason behind his actions, but seeing reappear as an enemy has become a recurring theme over the years. It didn’t seem relevant at the time and was subsequently reduced, but there he is on the final page of issue #254 once again seemingly at odds with the X-Men who have come to rescue him at the far reaches of space. We’ll see what comes next in X-Men: Legacy #255 on September 14th. 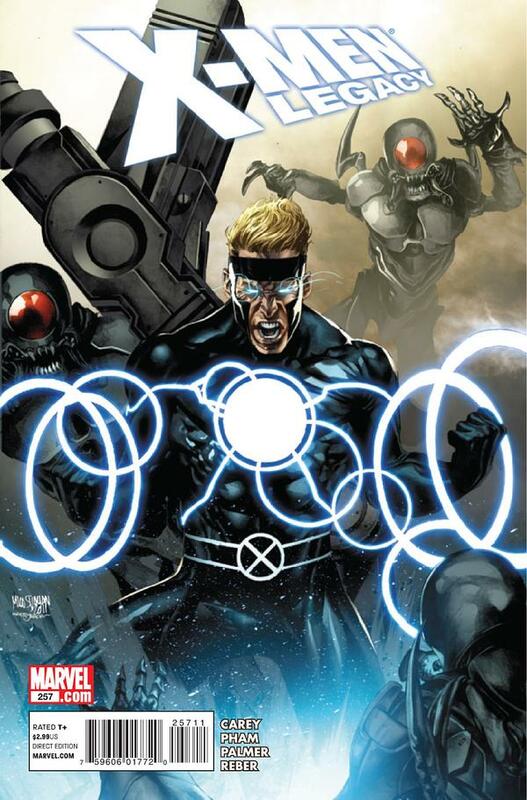 Ending the latest in a long line of absences from the pages of X-Men, Havok returns along with Polaris and Marvel Girl in X-Men: Legacy #254, part one of “Five Miles South of the Universe.” Following the War of Kings, the space faring X-Men were last seen in desperate need of rescue in X-Men: Legacy #250. 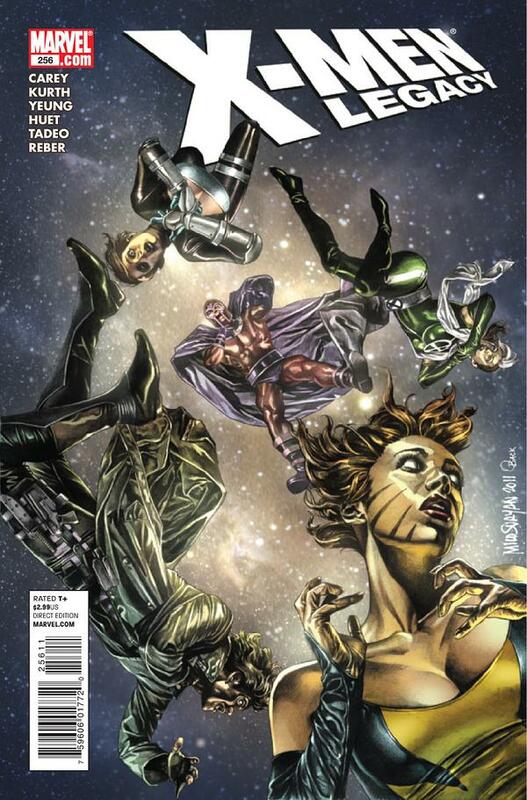 Rogue capitalized on absorbing Legion’s vast powers at the end of the last issue and brought her team of Gambit, Frenzy and Magneto into deep space to save the day, but time is not on their side and no one knows exactly what they’re up against. 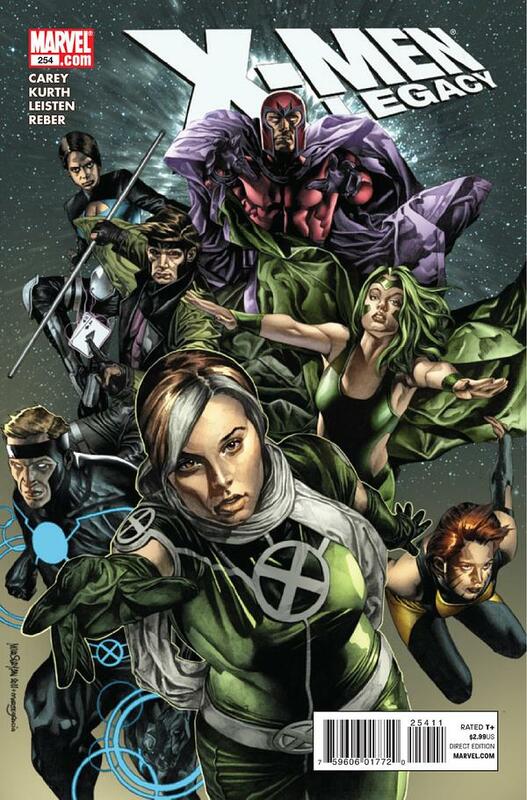 Who will join Havok during this Fall’s X-Men: Regenesis? Marvel’s final teaser for their X-Men: Regenesis event coming this Fall revealed that Havok will be returning to the pages of Peter David’s X-Factor in issue #230. The rest of the cast has yet to be revealed but it appears the days of the X-Factor detective agency may be over. Adding to the intrigue, it appears X-Factor will be siding with Wolverine in the wake of X-Men: Schism, placing Havok squarely at odds with his brother Cyclops. Guessing who else might be part of team, it’s arguable that Strong Guy, Banshee, Layla Miller and Rictor are all among the silhouettes, but Darwin and Madrox could be in there as well. Someone appears to be sitting on Strong Guy’s shoulder and it could be anyone from Pip the Troll to Wild Child to Wolfsbane or even her recently born child. Look for more information leading up to this November release. We're slowly building a site all things related to Havok of Marvel's X-Men ranging from comic book, movie and cartoons appearances, merchandise, news and commentary. This site is maintained by PTB of MyLatestDistraction.com and is not affiliated with Marvel Comics in any way.